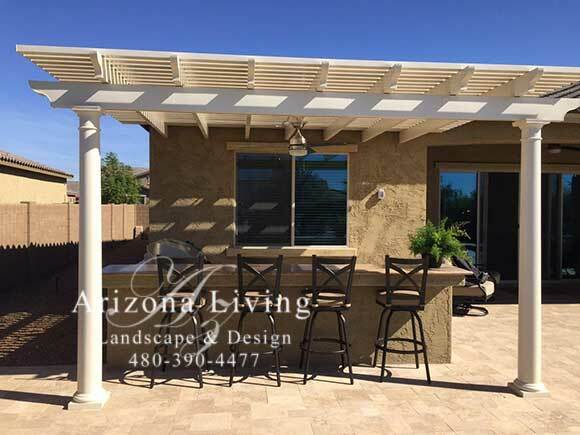 A new pergola patio cover is the hottest trend in Arizona landscape design and Alumawood or Aluminum Lattice Pergola patio covers are leading the way. 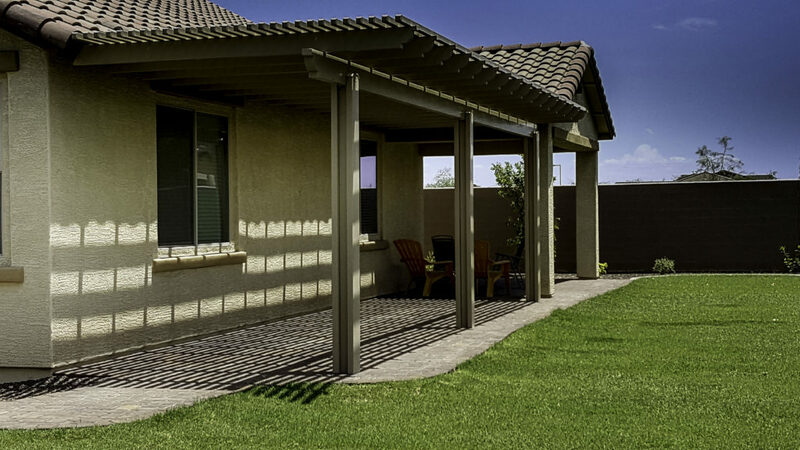 The addition of an Alumawood pergola is a great solution that will extend your backyard living area. 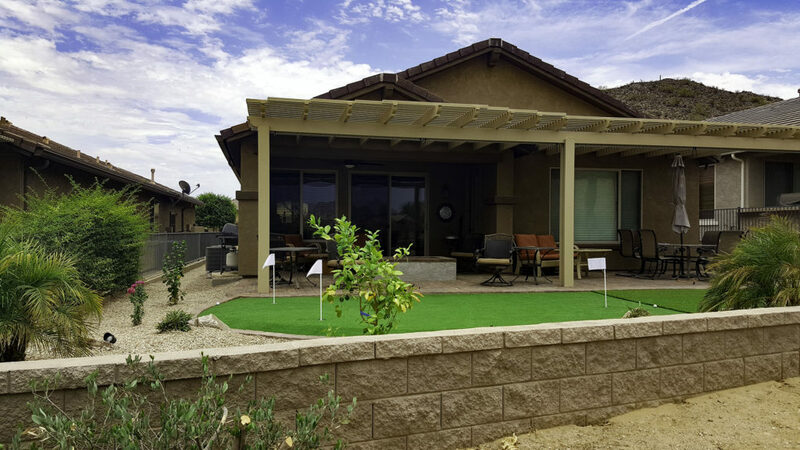 Your new patio cover will provide shade and beauty so you can enjoy your yard year round. 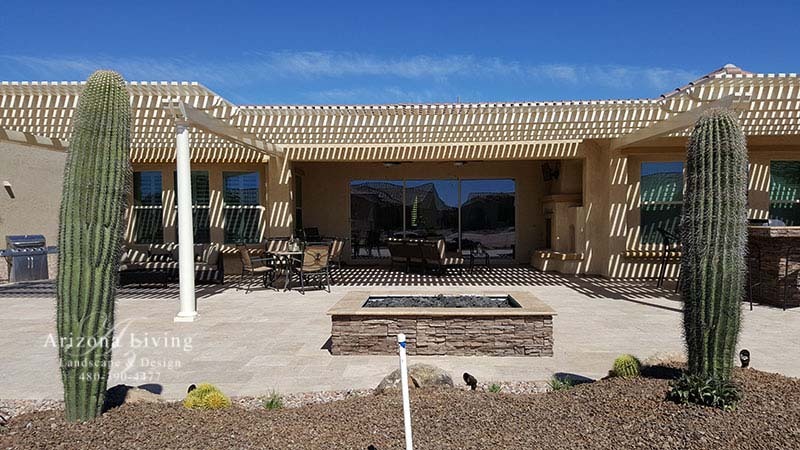 The lattice top design of the Alumawood Pergola will protect you from sun exposure by 40-60% without blocking the fresh air and breezes. 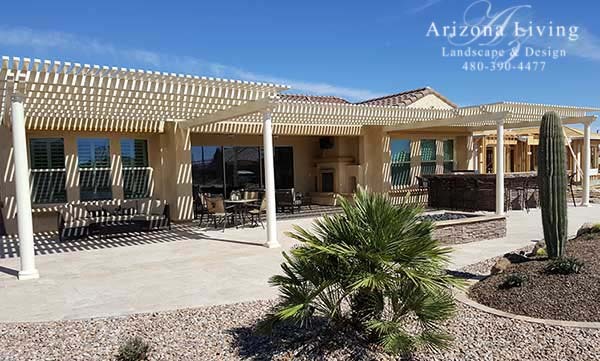 Unlike wood, the Aluminum pergola patio cover won’t crack, peel, warp, or rot. Never needs painting or sealing. Built with heavy gauge aluminum. Reinforced with a steel beam and poles. Alumawood comes in a rich wood texture design and a variety of popular colors to choose from. Durable Aluma-ShieldSM paint system with TEFLON® for long-term gloss retention. 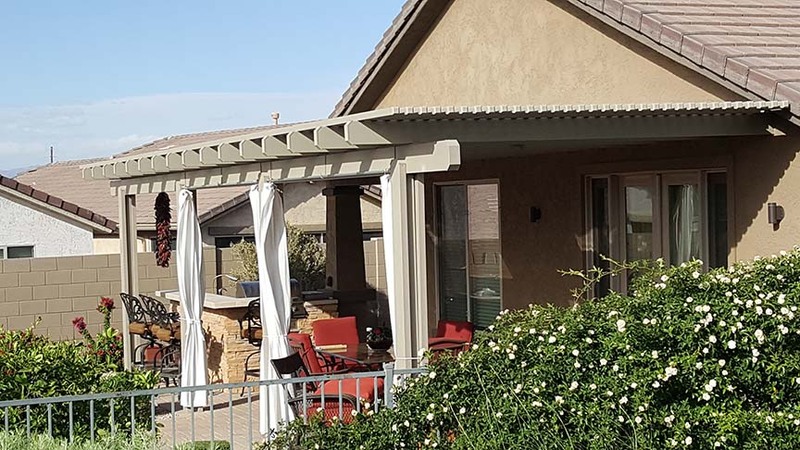 Your new Alumawood Patio Cover can be attached to your home to extend the patio or built as a stand alone structure to cover a patio, BBQ area, pool or kids play area. 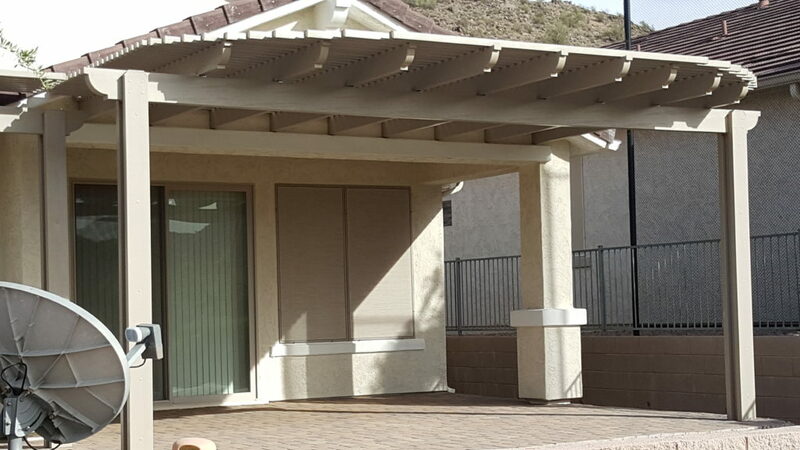 Each Alumawood patio cover is custom designed to complement your yard. 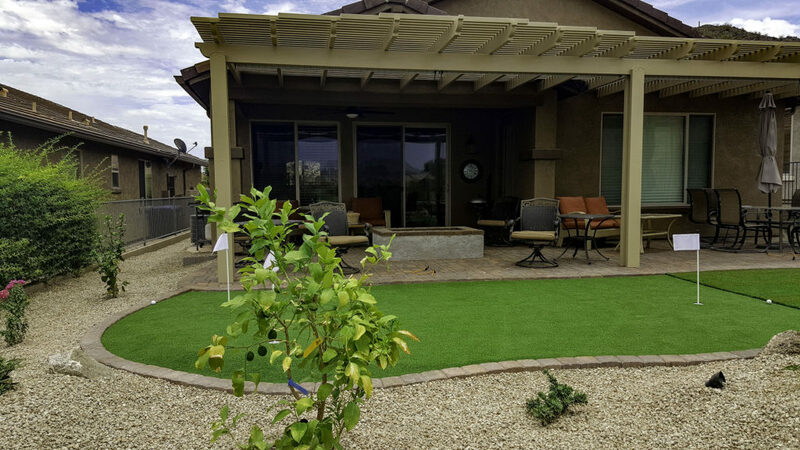 We can build it to follow the flow of your patio with a curved or arched front or have a straight edge, depending on your needs and likes.